The Inman Charity provides grants to UK registered charities for social welfare projects and for charities working with people who are disadvantaged. o Care of the elderly. o The deaf and blind. o Care of the physically and mentally disabled. The Trust allocates around £300,000 in grants each year. The vast majority of awards are between £2,000 and £5,000. o Young children and infants. o Maintenance of buildings at a local level such as churches and village halls. o Wildlife and environmental conservation. • The registered Charity Number, the aims and objectives of the Charity, and any other relevant factors. • Details of the total amount required. • Contributions received to date. • Proposed timing to complete the work. • A copy of the latest annual report. • A set of the most recent audited accounts. Applications must be received by the end of February or the end of August each year to be considered at the charity's Spring or Autumn meetings. The First Utility Foundation is inviting applications from UK registered charities whose work reaches vulnerable individuals and families in the UK. Changing the lives of the UK's most vulnerable families and children for the better. Improving the quality of life for older people. Making life better for people with disabilities. The Foundation is particularly interested in supporting initiatives that can demonstrate a track record in reaching marginalised communities and/or delivering innovative solutions to alleviate suffering. General Support grants for core costs range from £3,000 to £10,000. Flagship grants for specific projects are up to £20,000 per year. The funding will not cover capital projects. The deadline for initial applications is 29 February 2016. 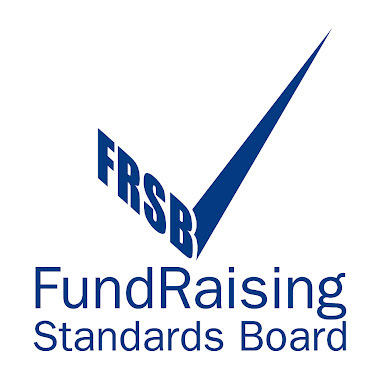 The government rejected proposals that the Charity Commission should hold public hearings into fundraising and have direct oversight of the new Fundraising Regulator, during the report stage of the Charities Bill yesterday. The report stage and third reading of the Charities (Protection and Social Investment) Bill took place yesterday afternoon. During the hearing opposition MPs brought but failed to pass amendments relating to official warnings, charitable assets and charity campaigning. Llandrindod SOUP is a micro grant giving scheme run by local volunteers. You pay just £3 to be entertained, eat delicious donated soup, find out about four creative Llandrindod projects then everyone votes and the winning project takes home the door money. Got an idea for a project to benefit Llandrindod? You need to apply at least two weeks before the SOUP event. You will make a four minute pitch for your idea at a SOUP party. As well as the chance for an instant cash grant, you could gain publicity, support and more ideas from the community to help make your project happen. The next SOUP event is on Friday 4th March 2016 at 7pm at the Herb Garden Cafe in Llandrindod. o Young people in maritime youth groups focusing on those considering or pursuing a career at sea. o Older seafarers, over the usual age of retirement, and their dependants. o Working age seafarers working at sea in the maritime industries, former seafarers under retirement age and Merchant Navy cadets and trainees. o Families and dependants of current or former seafarers who are still of working age. No minimum or maximum level of funding is specified by the Trust. During 2015 Seafarers UK awarded 105 grants totalling £2,296 million. Previous awards have ranged from £236,639 (The Fisherman’s Mission in 2014) to £1,000. o Revenue costs such as staff salaries or general running costs. o Some Capital costs - however the trustees have stated that priority will be given to projects or activities that support the ongoing work of charities in delivering direct services and benefits to current and ex-seafarers and their families. In light of this, it is unlikely that substantial capital grants will be awarded. • Sailing or youth clubs. • Marine Societies and Sea Cadet - individual units. • Religious organisations where the grant would promote religious beliefs. Support is available to religious organisations where the primary purpose of the grant would be the welfare or pastoral care of seafarers, ex-seafarers, their spouses or dependents. • Political and campaigning organisations. • Sea Rescue and Lifeboat Services. • Activities that the state has a legal obligation to provide. • Loans or interest payments. • Fundraising activities for the organisation or any other group or activity. For more information about the type of projects Seafarers UK will support, visit its grant programme guidelines (see link midway down the page). Registered charities and organisations with charitable aims that are working with all sections of the maritime community are eligible to apply. Maritime charities may apply for large and small grants any number of times in a one calendar year as long as each application is for a separate activity, project or service. Organisations that work with children, young people or vulnerable adults must have acceptable child protection/vulnerable adult policies and procedures in place. Application forms are available to complete online at the charity's website. Does your organisation need funding support or a Health Check? Have you got an issue around governance? Would your trustees like support to understand what their role is? Would you like to discuss potential project ideas? Come along for a chat to a PAVO development officer to find out how we can support you. To book an appointment call PAVO on 01597 822191.
o The benefit and protection of animals. o The relief of suffering in animals. o The conservation of wildlife. o The encouragement of a greater understanding of animals. Grants are normally in the range of £1,000 to £10,000, although smaller amounts may be considered. Grants of less than £1,000 are awarded at the discretion of trustees. o General running costs associated with the rescue, rehabilitation and re-homing of domestic, wild and exotic animals. o Feeding, capture, neutering and release of feral cats. o Assistance with vet's fees and the neutering costs of animals owned by those on low incomes. o Donations towards capital purchases involving land, buildings, vehicles, equipment and educational material. The Trustees may also pledge funds up to a maximum of £50,000 towards large capital building projects, Funding will, however, only be released when all other funds are in place and the work is ready to commence. Registered charities in the UK are eligible to apply. o Which have at least one set of up-to-date annual accounts available for inspection. o Which demonstrate an active re-homing and rehabilitation policy for animals taken into their care. o Involved with conservation of wildlife, when the rescue, rehabilitation and (where possible) the release of animals is their main aim. o Nine (9) copies of the completed questionnaire (available from the Trust's website). o Nine (9) copies of the Charity's most recent audited accounts. o Nine (9) copies of any other information felt to be relevant to the application (ie newsletters, re-homing statistics). o Thursday 1 September (for consideration by Trustees in November). For further information visit the Trust’s website. Funding is available to support community groups in Wales that are undertaking work that helps people of all ages feel more included in their community, builds their skills and increases their sense of achievement. Grants of between £500 and £1,000 are available for work that helps people of all ages feel more included in their community, builds their skills and increases their sense of achievement. Training, skill building and volunteering projects. Community groups and set up costs for new groups. Constituted voluntary organisations and community groups, registered charities, co-operatives, community interest companies and social enterprises in Wales are eligible to apply. Priority will be given to small, locally based groups or organisations in areas of disadvantage that have a clear understanding of the needs of their community and are undertaking actions as a means of addressing these needs. The deadline for applications is 14 February 2016. Delighted to report funding success from several groups in Powys on this beautiful Friday morning! Cynllun Ieuenctid Cymraeg Brycheiniog a Maesyfed, in Powys, will deliver activities for the young people, aged 11 to 18, at Builth Wells High School to provide opportunities for socialising and skill development. The grant, of £4,557, will fund play equipment, television and games consoles, accredited training, first aid training course, arts and crafts equipment, educational games, volunteer costs, venue hire and a food hygiene course. Cylch Meithrin Dyffryn Banw, in Powys, will purchase additional equipment to improve the experience of the children who attend. The grant, of £5,000, will fund a photocopier, printer and laptop, two tablet computers and a camera, books, reading corner furniture and soft furnishings, role play furniture, educational toys, arts and crafts equipment, health and safety equipment, sandpit and ten children's waterproof clothing. Knighton Community Centre has received funding from the Welsh Government's Community Facilities Programme. They will receive £499,728 to go towards developing the centre as a Community Hub. Meanwhile Llangurig Community Centre has been awarded £250,000 from the Big Lottery to refurbish the building and turn it into a multi purpose community centre. Congratulations to everyone involved on all your hard work and on your success. Don't forget that PAVO's Development Officers can offer an independent eye on your funding applications before they are submitted, and it's free of charge! Contact PAVO on 01597 822191. TAKE PART IN PAVO'S TRAINING POLL! We want to know what training organisations and individuals want us to run this year. There is also a link to our training booklet with all the courses we currently offer. There will also be a free place on a training course for one lucky person who completes the poll! The PRS for Music Foundation is the UK's largest independent funder purely for new music of any genre. The Foundation's Open Fund for Organisations offers grants to promoters, large performance groups, talent development organisations, venues and curators that promote and encourage new music. - Commissions of new music by UK-based creators. - Exciting community projects involving high-quality music creators. - Live programmes featuring new UK music. - Programmes that strongly feature or are based around new music. - Equipment/rehearsal space hire if it is an essential part of the project. - Website creation (only if crucial to the promotion of the project). - Music videos when part of wider project activity. - Musician fees - projects will not be funded if musicians are not paid. - Contingency (up to 10% of the total project budget). - Concerts, record launches, gigs, tours, installations, festivals and promoters which feature a significant programme of new UK music. Organisations must have a track record of playing, writing or developing for over 18 months. The next deadline is 1 February 2016 (6pm). o Benefit the wider environment. Consideration will also be given to sustainable energy projects benefiting local areas. Registered charities in England and Scotland can apply for grants of between £500 and £20,000, and those in Wales can apply for grants of between £500 and £10,000. Grants of up to £2,000 are available to other not-for-profit organisations that do not have a registered charity number. • Creating community gardens to benefit local areas. • Habitat restoration projects that benefit biodiversity and which provide lasting benefits to a community such as on-going recreation activities, flood prevention schemes, natural hedgerow boundaries. • Tree planting or creation of community orchard projects. • Projects which create bird, bug and beastie homes. • Outdoor education projects delivered with local communities by environmental charities. • Green-energy projects which create more sustainable solutions. For example, lowering energy costs for a community. • Micro-hydro schemes benefiting a local community. • Creative, far-reaching and will leave a long-term impact once completed. • Focused on improving the environment for the benefit of local communities and encourage conservation action at a local level. • 5 January 2016 to 28 January 2016. • 1 September 2016 to 30 September 2016. For further information, visit the Postcode Local Trust website. The Lloyds Bank Foundation for England and Wales is currently accepting initial applications to Round 2 of its Invest and Enable grants programmes. Round 3 is scheduled to open towards the end of April 2016.
o Invest - a flexible, long-term core funding programme for charities delivering clear, targeted outcomes for disadvantaged people. These grants are from £10,000 up to a maximum of £25,000 per year for two or three years, with the opportunity for continuation funding for a further period - up to six years in total. o Enable - a smaller and shorter grants programme for charities that have identified clear development needs. This funding aims to help the organisations deliver their mission more effectively. These grants are up to a total £15,000 over two years. o Have been abused or are at risk of abuse. o Are victims of sexual exploitation. o Are ex-offenders or those at risk of offending. o Have mental health and wellbeing issues. o Are isolated and vulnerable. o Have severe financial difficulty as a compounding disadvantage. The only exceptions are young people who are under 17 years of age and young parents or looked after children and disabled young people moving into independent living. o Be registered with the Charity Commission. o Operate mainly in England and Wales. o Have at least one year of published accounts covering a 12 month operating period. o Have a one year track record of direct service delivery. Have an income in the last set of published accounts of between £25,000 and £1 million. o Have free reserves of less than 12 months’ expenditure in the last set of published accounts. o Have an active board of at least three Trustees. Applicants are advised to use the Foundation’s Eligibility Checklist to find out whether they would qualify for a grant. Successful applicants will be offered the opportunity to work with the Lloyds Foundation to identify whether would benefit from any additional support under it’s Enhance programme. The deadline for Round 2 is 5pm on Friday 4 March 2016. Charities will be notified about whether they have been successful in progressing to full application by Friday 15 April 2016. The deadline for full applications is Monday 6 June 2016 and applicants will be notified of a decision in August. Round 3 will open to applications from Monday 25 April 2016 to Wednesday 8 June 2016. Further details can be found on the Foundation’s website. Wales-based arts organisations can apply now for grants of between £5,001 and £12,000 to take part in the Edinburgh Festival Fringe 2016 which will provide a venue to present their work internationally. Only Wales-based organisations can apply to this scheme. They must have a written governing document, a track record of delivering arts activity for audiences or participants, a bank account in their name, and an Equal Opportunities Policy that has been reviewed by the organisation’s governing body within the last three years, and which complies with current legislation. This funding priority is not open to applications from individuals/creative professionals. The deadline for 2016 applications is 10 February 2016 (5pm). Grants of between £300 and £2,500 are available for innovative and sustainable projects which will help more people participate in and enjoy swimming and to make swimming more accessible. - Introduce people to swimming who would otherwise not swim. - Increase the frequency that existing swimmers go to the pool. - Improve the swimming experience for new or existing swimmers. Projects must take place at a Swimathon pool and have sign off from the Pool Manager or their delegated main contact for this project to take place. Organisations including community groups, swimming clubs, senior groups, youth groups, sports clubs, disability charities, scout groups and healthy living groups in the UK are eligible to apply. The deadline for applications is 4 March 2016. Funding is available for not-for-profit organisations in Wales for sports projects that will leave a legacy. The World Cup Legacy Round is open to applications. Grants of up to £5,000 are available for sports projects that will leave a legacy. The Trust is keen to support volunteer-based projects, particularly from ethnic minorities and people with disabilities. In addition, the Trust recognises the difference that coaching can make to the development of a sport and is keen to fund equipment and coaching costs if the need has been clearly identified. Not-for-profit organisations in Wales are eligible to apply. The deadline for applications is 11 April 2016 (12 noon). Trewern, Guilsfield and Castle Caereinion. the young, disabled and elderly in the Welshpool area. or email roy@fulmar.demon.co.uk, phone 01686 622217. In November HLF’s Chair, Sir Peter Luff, announced we would be launching an exciting new youth initiative in 2016/17. Designed to bring a step-change in the way the heritage sector works with young people aged 11-25 outside schools, in the first instance we anticipate funding a small number of large scale demonstrator projects across the UK. We will award grants to consortia of organisations with a credible track record of working with young people and the ability to embed practice in the heritage sector. Before we launch the initiative we would like to test our ideas with a small number of youth and heritage sector experts and we would be delighted if you could join us and our facilitator Ruth Clarke to share your perspectives and ideas. We are running three workshops across the UK in January. We have a limited number of places, which will be filled on a first come, first served basis and would prefer one representative per organisation. If you think the workshops would be of interest to colleagues outside your organisation, please feel free to pass on their names in your reply. - Creation of community gardens which benefit local areas. - Habitat restoration projects which benefit biodiversity and which provide lasting benefits to a community such as on-going recreation activities, flood prevention schemes, natural hedgerow boundaries. - Tree planting or creation of community orchard projects. - Projects which create bird, bug and beastie homes. - Outdoor education projects delivered with local communities by environmental charities. - Green-energy projects which create more sustainable solutions to lowering, eg, energy costs for a community. - Micro-hydro schemes benefiting a local community. Applications will be accepted from 5 January 2016 with a deadline of 28 January 2016. A further round will take place in 2016 with applications being accepted between 1 September 2016 and 30 September 2016. Since 2009, the People’s Postcode Trust has awarded over £11 million to 1600 projects across Great Britain. Starting in 2016, the Trust will be changing the remit of its Small Grants Programme, with two rounds opening to all constituted voluntary and community organisations, registered charities, social enterprises and community interest companies in England, Scotland and Wales. - Facilitating reconciliation projects which help disadvantaged or at-risk groups. - Training programmes to boost skills and opportunities for disadvantaged people, including volunteer training programmes aimed at providing skills to the long-term unemployed. - Projects that tackle the root causes of anti-social behaviour and homelessness, including projects aimed at at-risk young people or young people leaving care. - Projects that support at-risk families, providing and early intervention to help tackle family breakdown. - Programmes that improve the physical and mental health of disadvantaged groups, enabling them to live more fulfilling lives. - Programmes that promote human rights and empower disadvantaged groups enabling them to create a better life for themselves. - Provision of services around domestic violence centres or refugee advice centres. - Projects that bring different groups of people together in a way that promotes understanding of differences and promotes justice, including programmes that promote migrant rights and help groups integrate into new environments. - Purchase of capital items and equipment. - Staffing/training costs of up to 50% of total amount requested. - Running costs of up to 20% of the total amount requested. - Volunteer expenses up to 25% of the total amount requested. - Marketing costs of up to 10% of the total amount requested. - Building renovations that have an ecological or wider impact on the services an organisation can provide. The first round is due to open on 1 May 2016 with a deadline of 31 May 2016. The second round will open on 1 September 2016 with a deadline of 30 September 2016. - Have a bank account. Applicants must also be based within five miles of a Veolia site – a postcode location checker (http://www.veoliatrust.org/funding/location/) is available on the website, which is constantly updated to reflect Veolia’s operating plans. - Community buildings and rooms, including community centres, village halls, community spaces within religious buildings, and Scout or Girlguiding buildings. - Outdoor Spaces, including public parks, nature reserves, community gardens, footpaths, bridleways and cycle-paths. - Play and recreation, including play areas, skateparks, Multi Use Games Areas (MUGAs), sports grounds, pavilions and changing rooms. - Supporting Biodiversity, including the species related element of a BAP (national or local), the habitat related element of a BAP or HAP (national or local), and reintroduction programmes to a specific habitat. Applicants will be required to secure match funding of at least 20% before submitting a full application. ProTjects requiring over £40,000 will also need an independent Third Party Contributor to reimburse the landfill operator with 10% shortfall to release the grant. This contribution can be made by another funder, a local council or an individual. While initial enquiries can be made at any time, full applications must be submitted by noon on 26 February 2016, 27 May 2016 and 26 August 2016.